Category Archives for "Product Guides"
Having a treadmill at home is a great way of getting your cardio done. However, most of the treadmills could be quite noisy. Noisy treadmills can also be annoying and curb you from keeping up with your fitness goals. You might also end up disturbing others while exercising. Thus, it is important to get a treadmill that is quiet so that you can peacefully do your workout. The following information will help you find the perfect quiet treadmill for your gym. You can compare the features, know about the products and decide upon the option that will be best suited. If you are someone who is passionate about gaming then you would realize how intense it can get. While playing, you are zoned out and feel as if you are completely isolated from your surroundings. You need your own space to really focus on the game. But more often than not, it is not the case. While you might want to have the entire room to yourself, it is hardly the case, thanks to your roomies, friends or family! They might have even exclaimed that they are getting disturbed with all the clicking sound! Well, you can easily avoid all the perils of buying a silent gaming mouse. It will save you from the ordeal of disturbing others while you enjoy your game. Moreover, you can indulge in late night game sessions even without letting your parents know about it. How cool is that? In this review, we have listed down the top 5 silent gaming mouse that you can consider buying. For most homes, a washing machine is a must-have appliance. However, the amount of noise from the machines is certainly something that gets on most people’s nerves. I have had a variety of washing machines over the years. Unluckily for me, I have never lived in a big house with a utility room. As such, it is very important that I get the quietest washing machines that I can. Since their inception in the 1940s, there has been a revolution in the brands and designs of washing machines. Because of the changing technologies, there are now a couple of machines that are able to get the work done with minimum noise. Choosing the best quiet washing machine can be a tiresome task. Well, with this article, you should be able to get quite a head start on the same. So, take a look at what you need to consider when buying a quiet washing machine as well as my top picks. It takes either a writer or a mother to appreciate the peace and quiet of a house. Fortunately, I’m both. I can understand moms and dads doing some cleaning around the house while their kids are asleep. We want the work to be done quickly and without disturbing our kids while their asleep. Also, we try our best to schedule cleaning hours at a time when it’s least disturbing to the elderly in our house or our neighbors. One lousy vacuum cleaner with nagging sounds can spoil our plans of a quiet evening for our kids and the neighbors. Sure, we do everything in our powers to hush the sound. Sometimes, that costs us a lot of money. But what if I told you an easy way around the problem? Choose best quiet vacuum cleaners to begin with. If you’re lacking the motivation to do some research, I’ve got just the list for you. I’ve also explained my reasons for choosing the brands and models on the list. Let’s get to it. Having a teenager in a house can be demanding. But when your son is also into drums, there is a great amount of noise to handle. My son and his friends practice in our garage almost every day, and we just had to do something about it, but also find a way to stay supportive parents. There’s where Green Glue stepped in. It helped us stay both in good relations with our kid loud friends and enjoy our coffee in silence. Now, let’s get to the point! 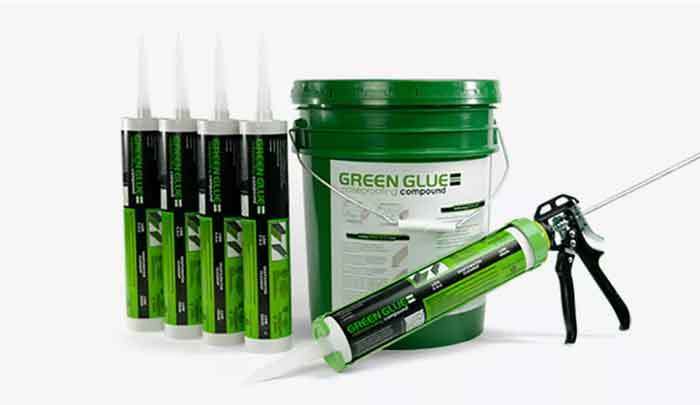 What is actually Green Glue and how we used it to make our every day better? Noise is everywhere around us! We find some sounds to be pleasant while the others really play with our nerves! Like that annoying neighbor playing loud music in the middle of the night! It’s not that I don’t like music, but sometimes I wish it wasn’t so distracting! A bit of creativity and exploring can offer you various solutions for problems with undesired noise. There are really many ways how to soundproof a place! The choice depends on your budget and, of course, the amount of noise you would like to reduce. In today’s article, I shall introduce you to Mass Loaded Vinyl, your new best friend in reducing unwanted sounds all around. If your toddlers can manage to remain quiet for the entire service, then you should consider yourself a very lucky parent. I am a mom to three very beautiful kids. One of the biggest problems that I have ever had to deal with was to keep them calm during the service. I have had to be that mom that carries away their screaming child right in the middle of the church service. With my first one, there really wasn’t much I could do. Going to church meant being prepared to walk out as everyone watches you with a wailing child in your arms. The beauty of parenthood is that you learn as you go. A friend introduced me to quiet toys for church and I must admit that Sundays have not been as devastating as they were. My youngest is still a toddler so in this article, I am going to highlight some of our best quiet toys for church. If you have been at crossroads wondering how to keep your kids engaged during church, then you should really check this out. You can thank me later. Having the baby occupied especially when you want to do some work can be quite difficult. It is because of this reason that parents get their babies some toys. In some situations, however, the toys alongside the babies using them can be so distracting. Think of perhaps a time when you are entertaining some guests. Or perhaps you had to bring your little one to a meeting. Normal toys just won’t cut it for such situations. Before you go looking for quiet toys, there are a few things that you need to bear in mind. So, what should you look for when buying a quiet toy? I’ve been blessed with avid readers who like to read this digital diary of mine while I go on my quest of soundproofing or minimizing the unnecessary noises around us. I do it all in search of a quiet life. As you know from my previous post from a few days back, I’m trying to work out and document different strategies to keep my car engine silent as a whisper. Besides fixing noisy lifters, I came up with another approach. Let’s discuss the best oil for noisy lifters. This is the piece that completes the two-piece lifter puzzle. Basically, I chopped and changed my engine oils and additives to find out if I could get an extra perk or two out of my car’s engine or not. As it turns out, switching the product helped! All I did was choosing these things with great care and implementing them as per instructions. It changed my car’s engine for the better. So, I decided to let you guys know about it. 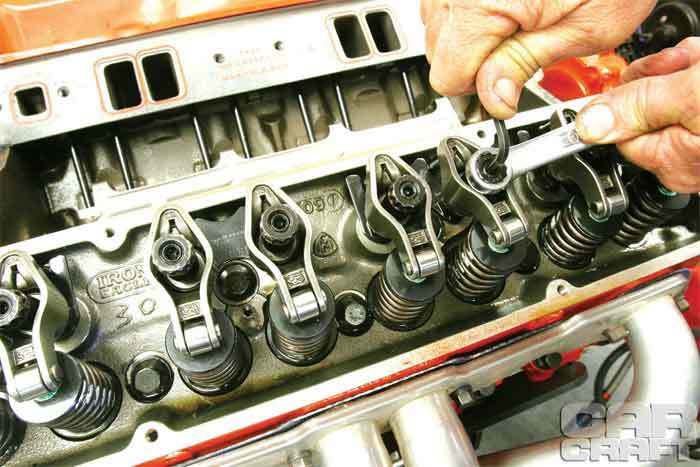 In this article, I’ll be discussing the process of choosing engine oil additives and all about the products that I played around with. So, here we go!